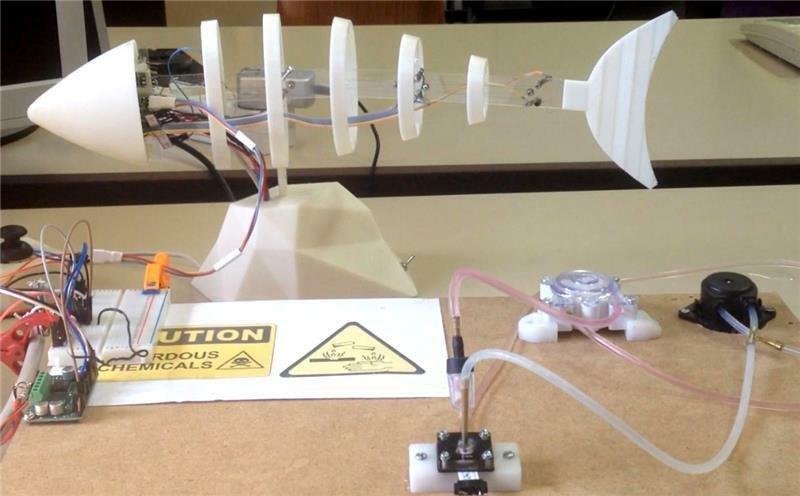 Many Researchers from University of Florence University and Politecnica de Madrid have developed a bio-inspired robot that could detect the pH of water. This robot will be in the form of fish. There will be special chemical sensors present of the body of these fish that will help scientist to monitor the pH of water. These “fish” could control the water conditions in the fish farms. This would help to keep aquaculture systems at an optimum level. It would also avoid physiological stress and diseases of fish, control the water quality. The developed robot will be bio-mimetic. It means that both its appearance and functioning will be similar to that of real fish. These fish could modify could modify the way they swim according to the water conditions. The overall length of the fish is 30 cm (without including the tail). The fish would be made of polycarbonate of 1 mm thickness. The skin will be latex based which will be supported by ribs.